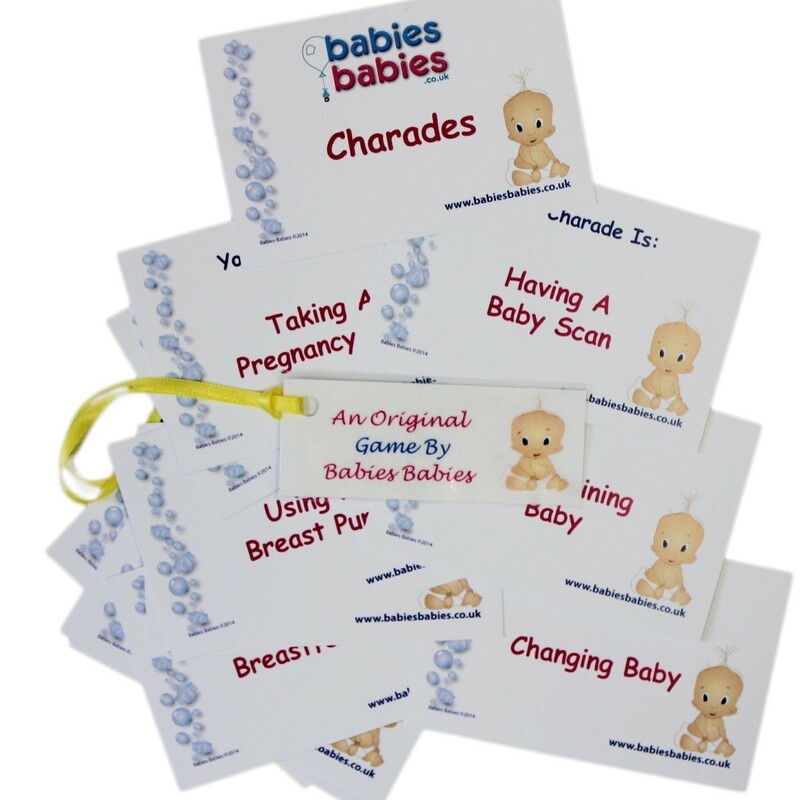 A set of 12 very amusing baby themed charades to act out and cause a laugh! 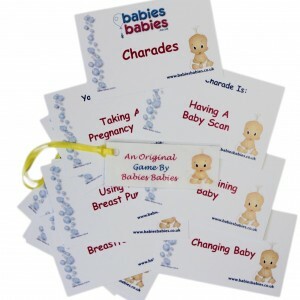 Charades game is always a real hit at any party so by request, so here are a set of 12 Charades which are perfect to act out at your Baby Shower Party. This game will most certainly have all your guests howling with laughter at the party. We will supply you with a set of 12 credit sized cards, each one printed with a different charade for your guests to act out. 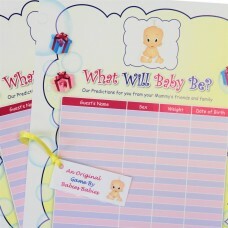 Examples are Bathing Baby, Making a Bottle and so on - we don't want to give too much away!!!! Your set of cards will be tied with our very cute satin ribbon, ready to present on the party table then simply ask the guest of honour to untie the cards in order for play to commence! Simply split your guests into teams then individuals are to act out their charade - great fun!